The girls and I are on the coast today. This is part of Humboldt Bay. 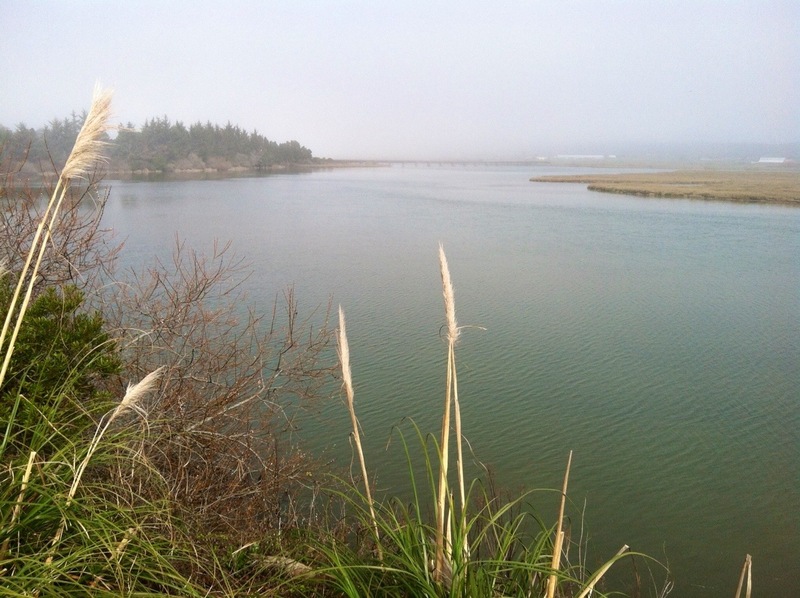 This entry was posted in From The Field and tagged Coast, Humboldt Bay, nature, photography by foresterartist. Bookmark the permalink. Gorgeous, beautiful scenery. Hope you guys are enjoying yourselves! That looks lovely, the perfect place for a nice day with the girls. Enjoy! What was funny is that behind me was a busy sawmill log yard. The girls had to wait until after we left to get out and run around. I will have to do so. When I do a post from the field, I do it with my iphone so it has to be short. We had a busy but nice day, thank you. Would you like to visit my blog? I write there about you. Thanks Olive, I am honored! Very beautiful with this soft light and colours. Thanks Bente, it was a misty kind of day.